The iPhone hacker iH8sn0w has announced Sn0wbreeze 2.5 just after the release of Redsn0w 0.9.6RC9 and Pwnagetool 4.3. We had earlier covered Sn0wbreeze 2.4, which was a tethered jailbreak for iOS 4.3.1. Sn0wbreeze 2.5 is an untethered jailbreak tool and is available for Windows users. As always, Sn0wbreeze let you upgrade your iPhone, iPad or iPod Touch to the latest software version by making use of a custom IPSW created from original iOS build. All the above mentioned untethered jailbreak tools are based on an exploit discovered by i0n1c. Among which Sn0wbreeze 2.5 and Pwnagetool 4.3 let you create custom IPSW files and preserve the baseband. So you can unlock you iPhone 4 or iPhone 3G S with existing resources from Cydia. 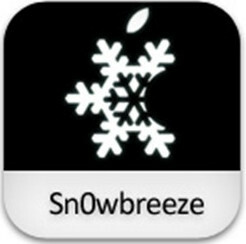 Sn0wbreeze 2.5 supports all recently released Apple devices on iOS 4.3.1 except the iPad 2. Sn0wbreeze 2.5 is a standalone application and the only requirement for jailbreaking an iPhone, iPad and iPod Touch with this is to have the corresponding iOS 4.3.1 IPSW files. After download, open the application and follow the on-screen instructions- the rest is self explanatory.